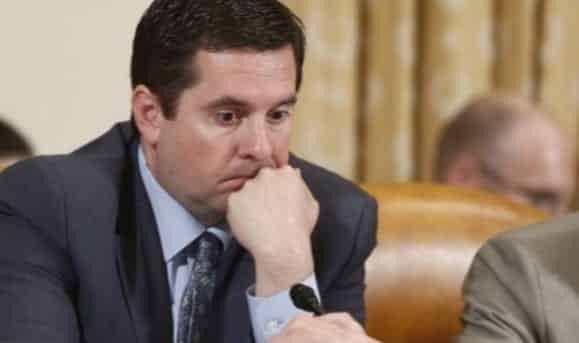 During escalating tensions for House Intelligence Committee Chairman Devin Nunes (R-CA) to recuse himself from investigations of Trump team contacts with Russian officials on Tuesday morning, Nunes reportedly canceled all upcoming full committee meetings. Multiple outlets reported the move, based on sources, the morning of a public hearing set for Tuesday, which Nunes had previously canceled. That hearing was supposed to focus on the alleged Trump-Kremlin connection, but instead Nunes opted for a private briefing with FBI Director James Comey and National Security Agency Director Mike Rogers. Nunes’s Democratic colleagues (as well as several of his Republican ones) have repeatedly expressed their lack of faith in his chairmanship and the panel’s ability to carry out a proper investigation into Russia. This entry was posted on March 28th 2017 at 9:18am/09:18 and is filed under Elections, Live News Column 2, Politics. You can follow any responses to this entry through the RSS 2.0 feed.